This tragic image shook Europe into action. It shook an unthinking and uncaring continent into thinking about the tragedies unfolding every day, and rethinking its prejudices. 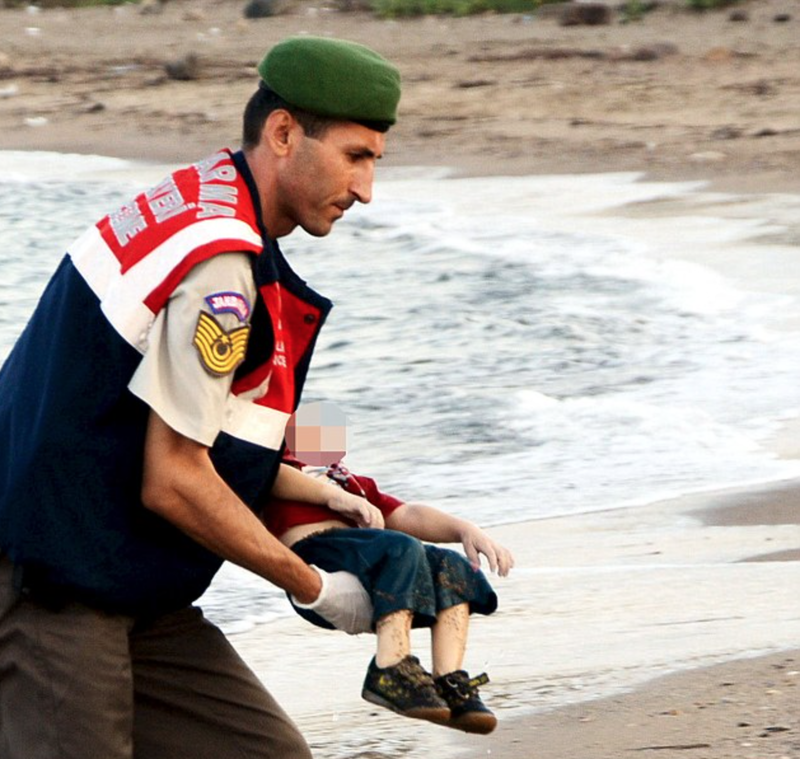 Aylan Kurdi, we will honour your memory and make sure your short life has a historic legacy. At last, the likes of Britain’s Daily Mail realised that the people fleeing to Europe were refugees desperate to escape death and persecution in the Middle East and North Africa, rather than opportunists seeking European welfare. I applaud Germany and Austria for their warm-hearted welcome for thousands of refugees. How I wish that David Cameron’s government could have shown a fraction of that humanity. How petty and uncaring these millionaire politicians appear as they turn their backs on the tragic flow of desperate people who simply want a safe future for their families. And how shocking it is that the London Standard newspaper thought Eurostar disruption was the story, rather than the plight of desperate refugees. Over 40 years ago, a very different Conservative government welcomed to Britain some 30,000 Ugandan Asians who had been expelled by murderous dictator Idi Amin. The new arrivals made a significant contribution to the life and economy of Britain. It has been hugely encouraging to see the positive response on social media to a more human approach to the crisis. That most intelligent commentator, Mathew Parris, said: “What kind of primitives have we become that we need to see a drowned person before we acknowledge to ourselves that people are drowning? Did we not know, had we not read, that migrant children drowned?” So true, yet sometimes one stark, appalling image transforms opinions. The best solution is surely to make the refugees’ homelands safe for them to stay or return – but over a decade of Western military interventions in the region has corroded our reputation. How sad that the summer of tragedy on Europe’s beaches saw the death of Sir Nicholas Winton, ‘Britain’s Schindler’. Then as now, Britain was slow to help people desperate to flee death and persecution. Then as now, bureaucracy was a killer. Yet the wonderful Winton secured safe passage in 1939 for over 600 children from Czechoslovakia. The story has an echo in Mr Gruber in the wonderful film Paddington, with its echoes of the Kindertransport. How apt and poignant that German and Austria have been quicker than Britain to welcome the 2015 counterparts of the families of 1939.